Zola Jesus, performing at Ready Room on January 17. Nika Roza Danilova is burdened by the unknowable. That's why she became a musician. "I needed music as a way to process my own sort of larger questions that I feel like I just can't possibly answer," says the 25-year-old vocalist, known now by names she borrowed from a French philosopher and the son of God. "He's said a lot of things about how humanity just feels so uncomfortable with being alive -- our consciousness is too advanced for us to be able to live. Basically, we're over-evolved animals," Danilova says. "Our ability to think about greater concepts isn't necessarily helping our existence, and it's creating more anxiety." This kind of artist commentary would normally come off dripping with pretense, and the only reason it doesn't is because, for as brooding as Danilova appears, she is actually about as earnest as Taylor Swift. Swift and Danilova have more in common than you might think. They are the same age, each dropped their fifth album late last year and both are, at their very essence, pop artists -- just of different persuasions. Swift is to country as Zola Jesus is to noise, industrial and avant-garde classical. "My music has always been poppy. I've manipulated people and deceived them by putting layers and layers over it in the past -- making it really lo-fi," Danilova says. "When I took all the noise away the songs were the same." The tension on Taiga comes from reconciling the pop with the other stuff. Take the track "Long Way Down," for example. The version that appears on the album sounds like a looping, techno Gregorian chant. It's moody, almost mournful. It started off very differently. "It sounded like an early 2000s J. Lo song or something. It sounded like a very sunshine, summer R&B song," Danilova says. She rebuilt it from the ground up, changing the key, changing the beat, pulling each element apart and putting it back together. "I had to reinvent it multiple times before it got where it needed to be," she explains. Integral to the process of breaking down and retooling each song on Taiga was Danilova's co-producer, Dean Hurley, the guy who helped David Lynch create his albums Crazy Clown Time and The Big Dream. The result is soothing: a mix of pop anthems ("Dangerous Days") and R&B ballads ("Dust") that sound like they've been piped through the Catacombs. "He helped me pull it back a little more, because I would have gone for more poppy and more cleaner production," Danilova says. "But in hindsight, I'm glad that he was there to pull me back and go: 'OK, you may be enamored with this world, but that's probably not what you want to do.'" 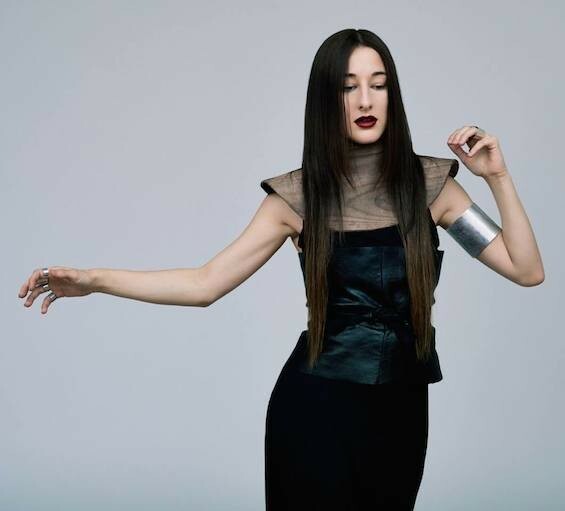 Zola Jesus 8:30 p.m. Saturday, January 17. The Ready Room, 4195 Manchester Avenue. $15. 314-833-3929.